1. 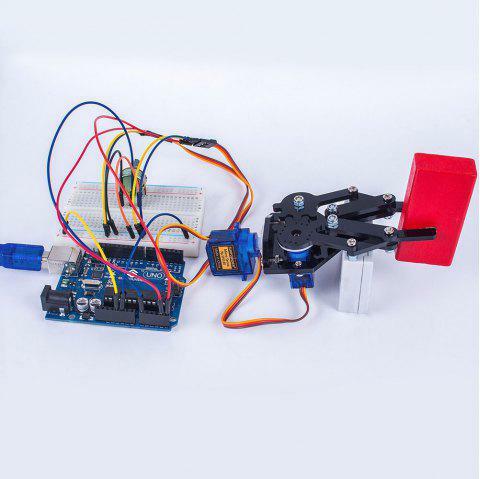 Rollpaw is a simple solution for projects requiring small grippers and driven by two servos, it can be used with ease in your projects. 2. Controlled with two servos: one to control the paw to grip and let go, the other to rotate the paw. 3. The maximum opening distance of the rim lock: 60mm. 4. Working Voltage: 4.8 ~ 6V. 5. Provides detailed user manual, code, and assembly and application videos.